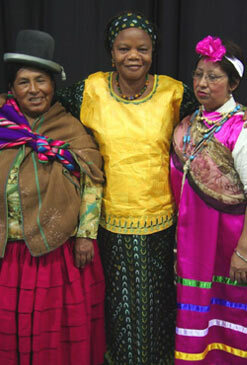 Bolivian women face many challenges including discrimination and exclusion. They are also vulnerable to drug traffickers because they are desperate for work. The landlocked country is one of the poorest and least developed countries in Latin America despite being rich in natural resources. A new project is being launched in Bolivia this month by the UN’s Office on Drugs and Crime or UNODC that will give women more economic opportunities. Bolivia, Panama, Paraguay, and Peru. LA PAZ, Oct 27, 2009 (IPS) – Taking an active part in politics in Bolivia can be a hazardous undertaking. Hundreds of reports of violence against women participating in politics attest to the risk. And while attacks go unpunished, a bill designed to protect the rights of women occupying public office has spent almost a decade in Congress waiting to be approved. against political violence targeting women town councillors. María Eugenia Rojas, leader of the Bolivian Association of Women Town Councillors (ACOBOL), which works for the right of women to hold public office, told IPS that the members of her organisation are in dire need of a law that will protect them and raise awareness on a critical but little known reality. But she also admitted to weariness, brought on by Congress’ lack of sensitivity to the problem. 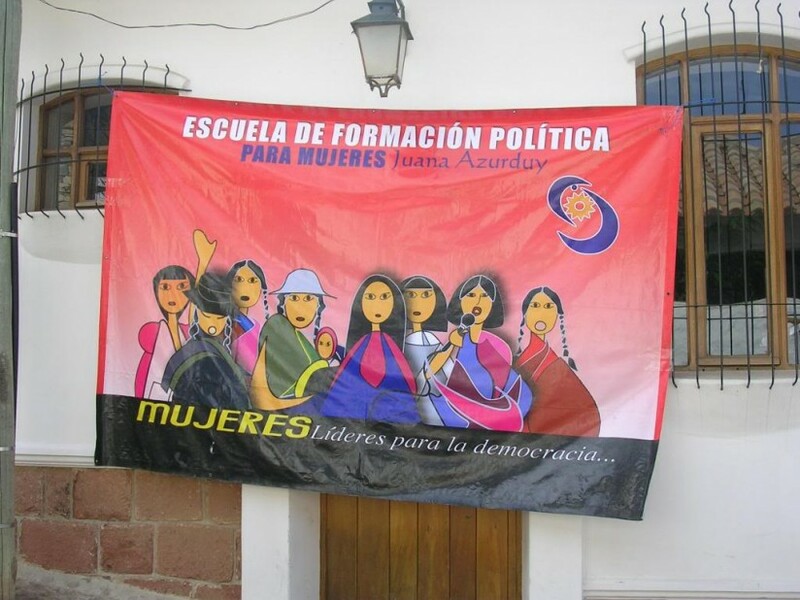 Things hardly improved for women in politics even after President Evo Morales took office in 2006, representing the interests of the country’s impoverished indigenous people and ushering in social changes. Not even the new constitution in effect since February 2009, which strengthens women’s rights, has had much of an effect in that area yet. When asked to give an example of a particularly alarming case, Rojas said all cases of violence targeting women politicians are equally disturbing. was beaten within an inch of her life? Or the municipal official who was raped?” she asked. Gender violence aimed at women who are active in politics occurs at many levels, but nowhere is it more virulent and committed with so much impunity than in rural municipalities. Women are often harassed, or worse, with the aim of forcing them out of politics. “Public humiliations of women councillors elected by popular vote, or floggings inflicted as punishment by indigenous communities are gross violations of women’s rights and demand immediate action,” Rojas explained. ACOBOL has faced many frustrations in its struggle to defend the rights of women in public office, most notably the fact that none of the perpetrators in these cases has been brought to justice. It was in the context of this struggle that a popular consultation was held with the aim of introducing a draft law against political harassment and gender violence, as women came to the realisation that that was the only way they could defend their right to participate in politics safely and under conditions of equality. In the rest of Latin America, only Ecuador has a law similar to the bill under consideration in the Bolivian legislature. One of the women involved in the campaign to get the bill approved is now heading the Ministry of Justice. Minister Celima Torrico is a former trade union leader, a reporter for grassroots radio stations, and president of the Association of Women Councillors in the central province of Cochabamba. Bolivia will hold general elections in December. Under the new constitution, 50 percent of all candidates to public office must be women, although that percentage was only achieved in the Senate and in the lists known as multi-nominal. From her office, Torrico explained to IPS why she recently changed her position with respect to the proposed law and is now pushing to expand it to apply to men who participate in politics and are also victims of harassment and violence by reason of the posts they hold or their views on the administration of municipal governments. hold office, and guarantee their political rights and ensure that they will be protected under the law at the national, provincial and local levels. The vast majority of all cases of gender-based political discrimination and violence are committed at the municipal level. “A law is not sufficient in and of itself, but it will be a key step in the right direction and a major achievement because it will be taken as a reference point for further action, especially as it sets specific penalties and identifies certain behaviours as punishable offences,” Patricia Flores, an official in the ombudsman’s office, told IPS. including it in the Criminal Code, she underlined. The bill establishes penalties for perpetrators of acts of political harassment and violence against women candidates and elected and acting officials. Perpetrators may be subject to administrative, civil and criminal measures, and may be temporarily or permanently barred from public office. Political gender violence is motivated by men’s unwillingness to surrender their hold on power and the administration of public funds and resources, Rojas said. A proposed law in Bolivia is designed to curb a rise in crimes against women: feminicidio, or “femicide”. Vulnerable women are split on the new law, but all agree that something has to be done as the status quo is unbearable. in for him as secretary of a regional trade union. But she was rejected by union members because of her gender and young age. Torrico didn’t even get to take attendance before the minutes book was ripped from her hands. Back then, “women were expected to stay at home, doing the wash, taking care of the children, and cooking, and they weren’t supposed to even attend a meeting,” the minister said. In 2007, as provincial councillor for Cochabamba, Torrico had to put up with intimidation from then governor Manfred Reyes, a leading opponent of Morales and now a presidential candidate. During a violent conflict between coca growers and the opposition to Morales’ government, Reyes placed her under surveillance and had her family’s phones tapped. avoid being attacked for her origins and lack of formal education. rare interview, as ministers don’t ordinarily speak with the press. office, because it’s been proven that political aggressions are motivated by more than just gender. “There are also men holding public office who have suffered abuse,” she said, thus disagreeing with women’s organisations that insist on having a specific law to address gender-based political violence and propose separate laws to protect other groups holding public office. Twenty percent of complaints were for physical violence and another 19 percent for harassment and pressures to keep women away from municipal government oversight and supervision functions. The result of this harsh experience is that women councillors don’t usually run for a second term. With few exceptions, when they complete their five years in office they decide to drop out of politics because they come to the conclusion that it’s just not worth the sacrifice, and this cuts emerging female leaderships in the bud, Rojas explained. Only four percent of council seats are occupied by women, and of the 327 town councils, only 25 percent are headed by a woman, according to data gathered by ACOBOL. The violation of the rights of women in politics affects women in every party, cuts across the full spectrum of ideologies, and occurs in indigenous communities and grassroots and civil society groups as well, Rojas said. But there are geographical differences. 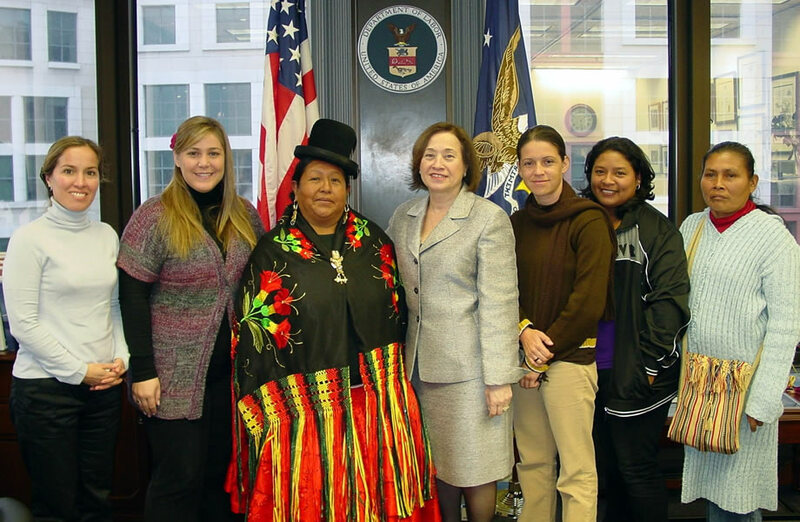 Rojas noted that in the eastern lowlands and Amazon jungle region women in political positions are more widely accepted, while in the western Andean highlands region û where the population is predominantly indigenous – women in public office are more subject to intimidation and discrimination due to the strong patriarchal structures that still prevail.